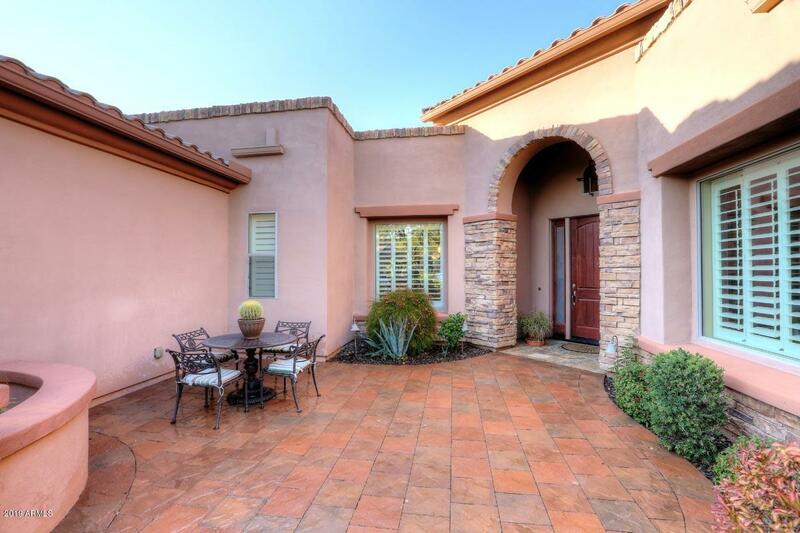 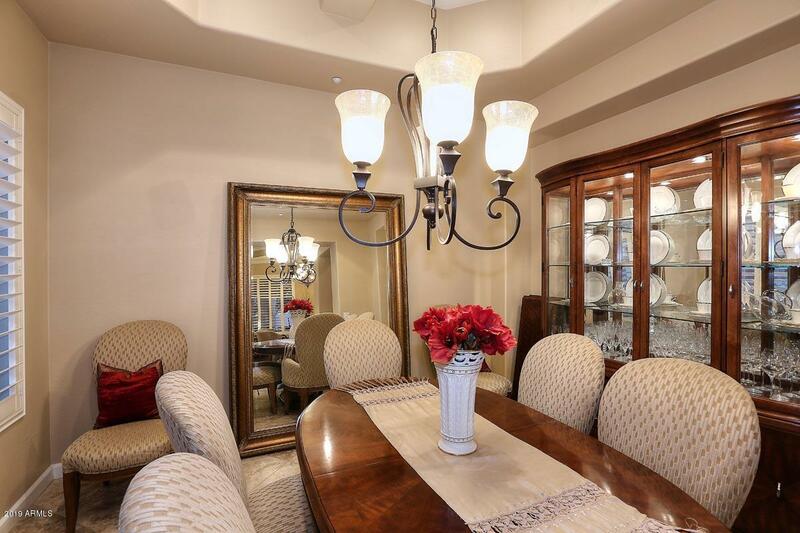 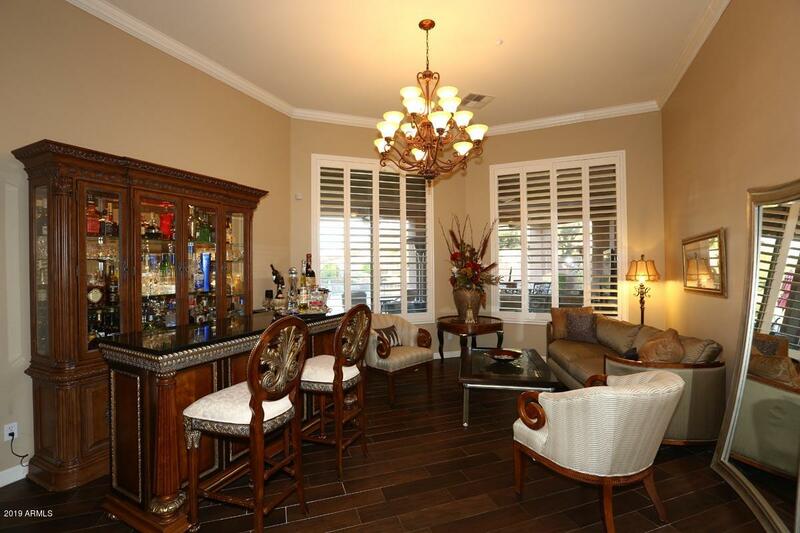 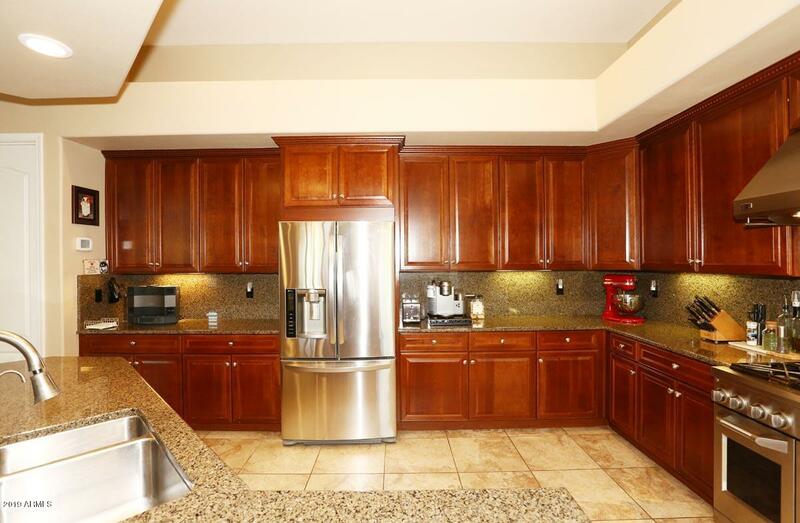 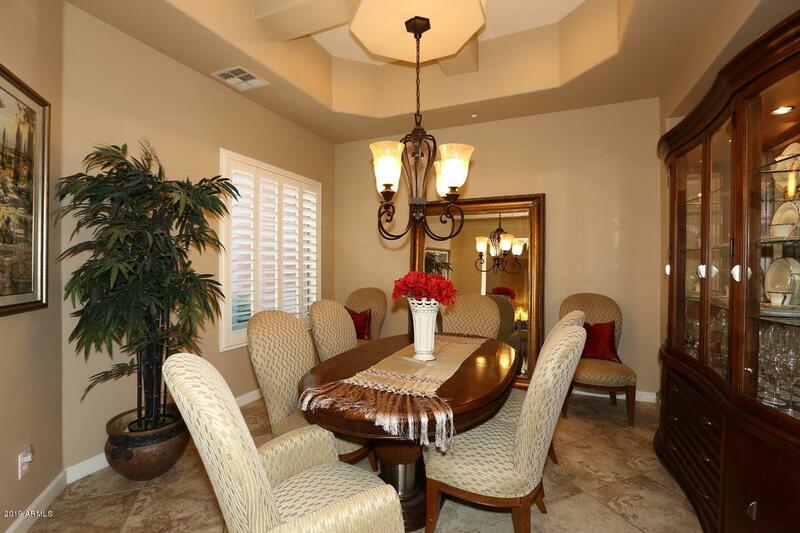 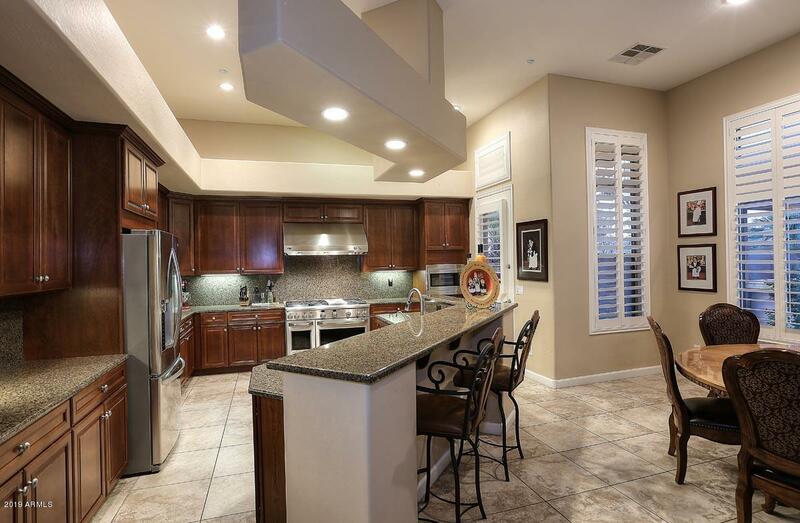 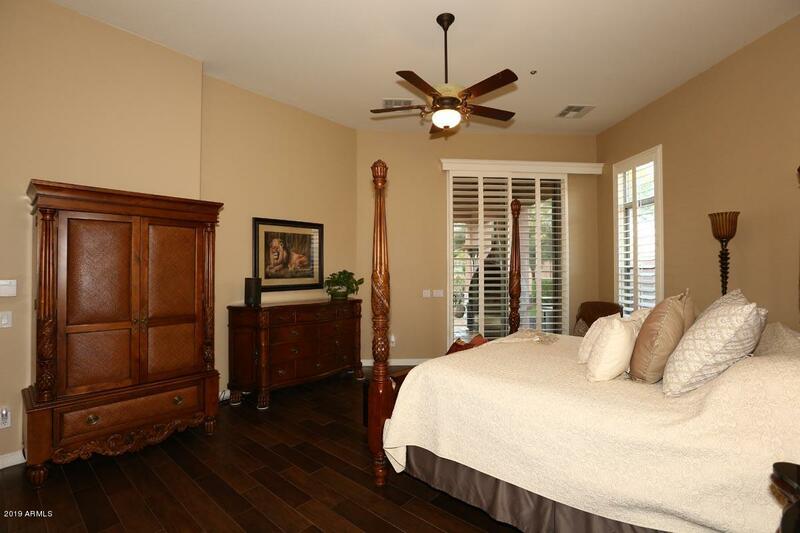 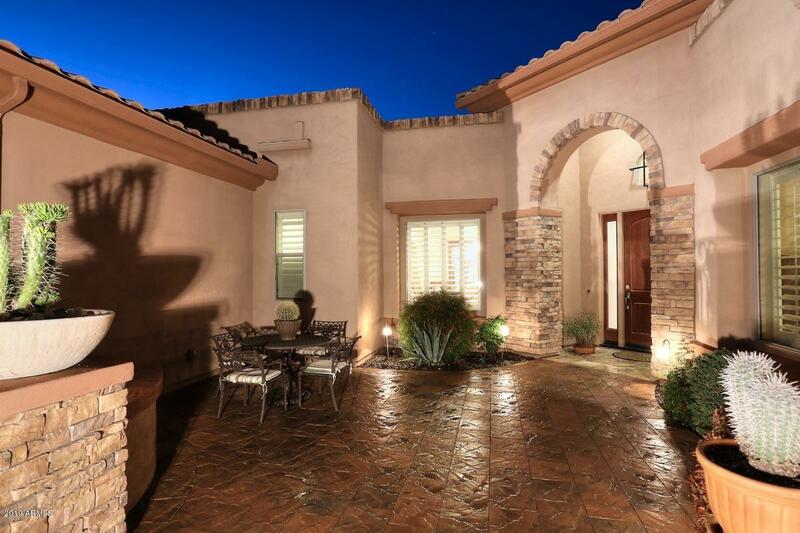 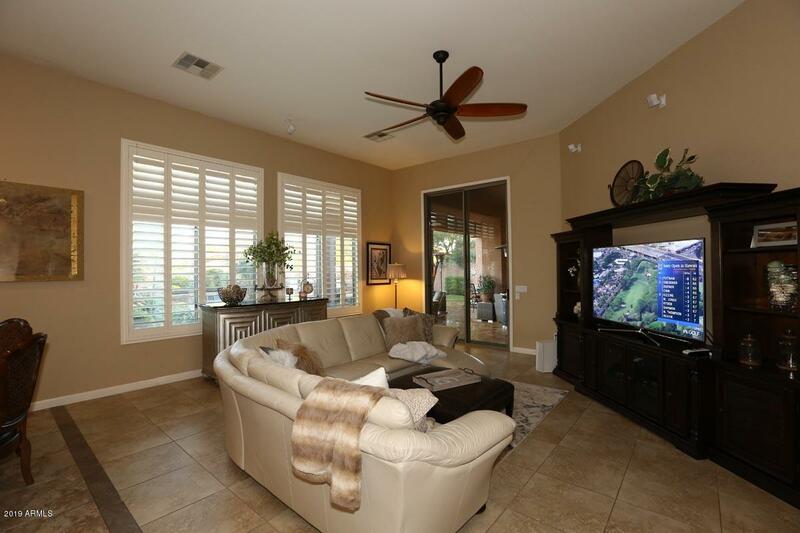 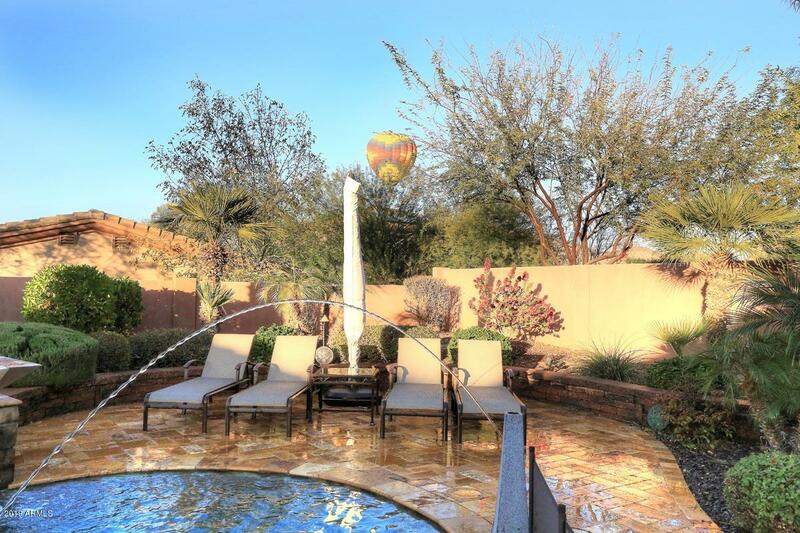 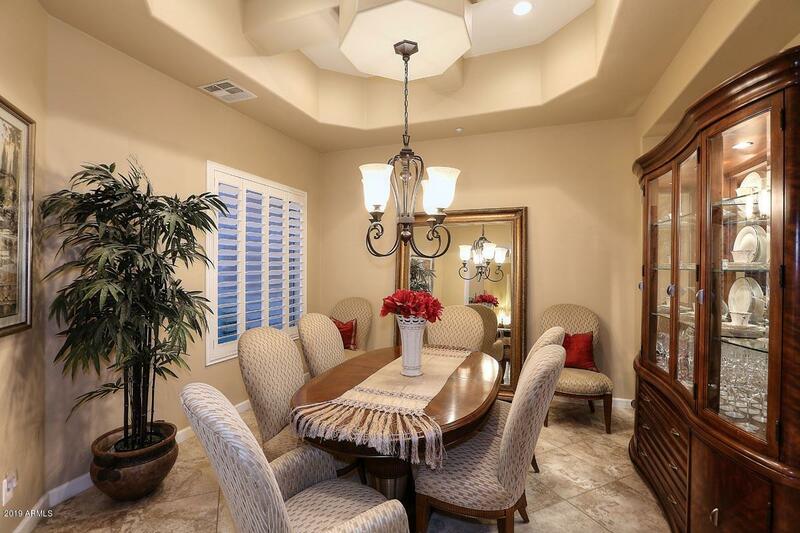 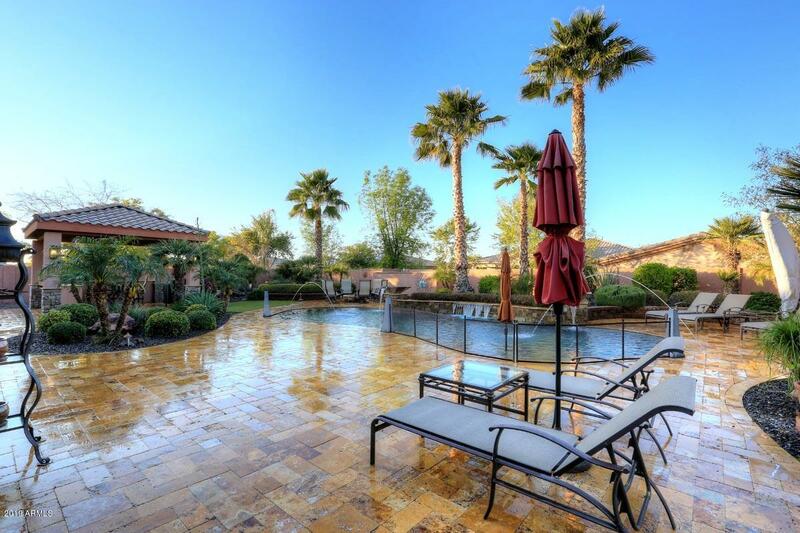 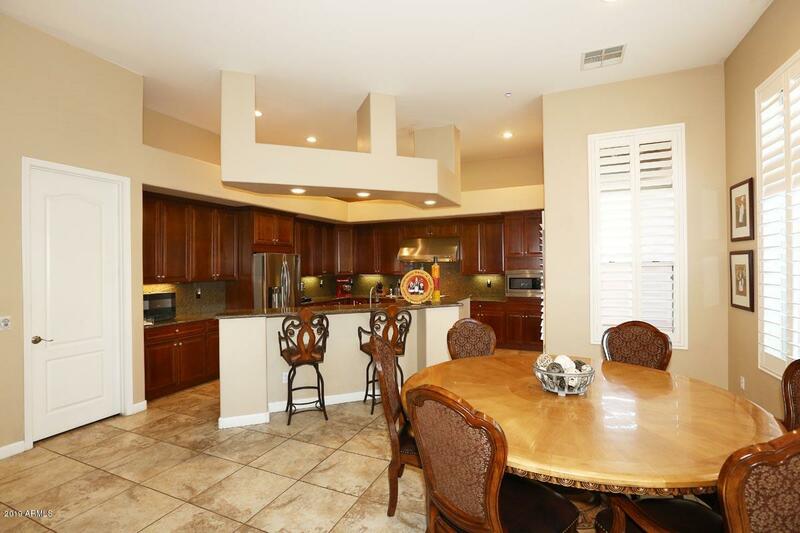 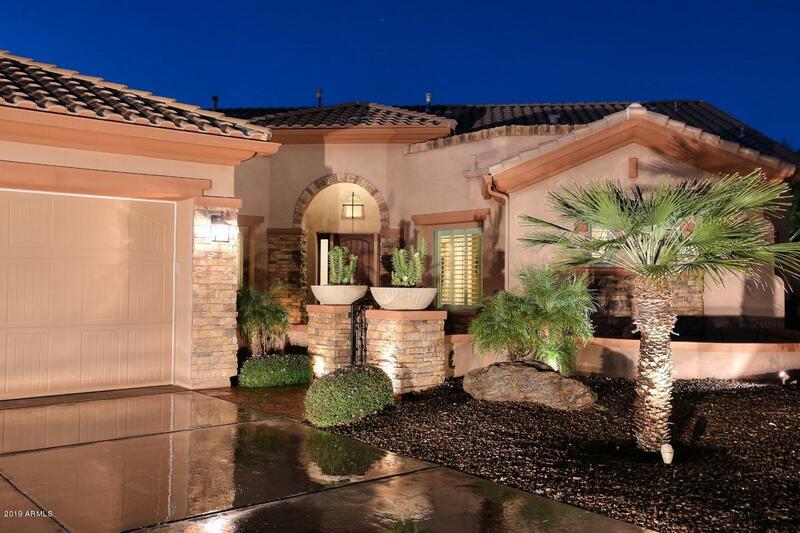 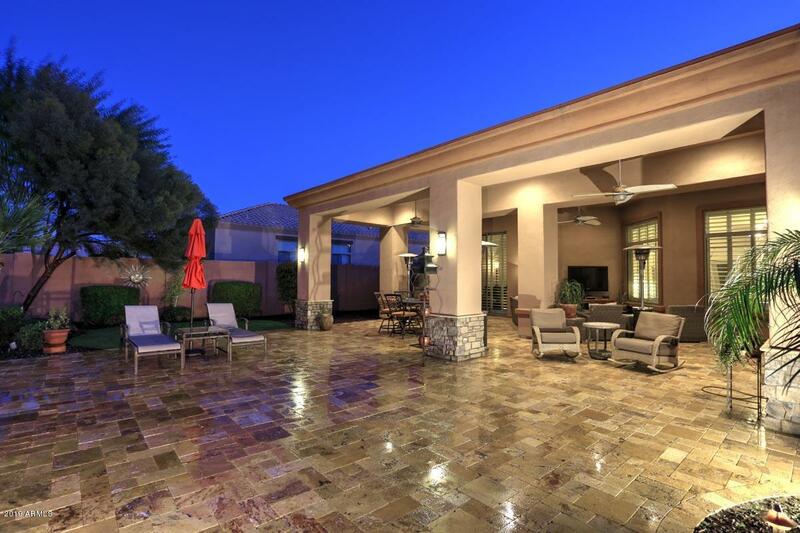 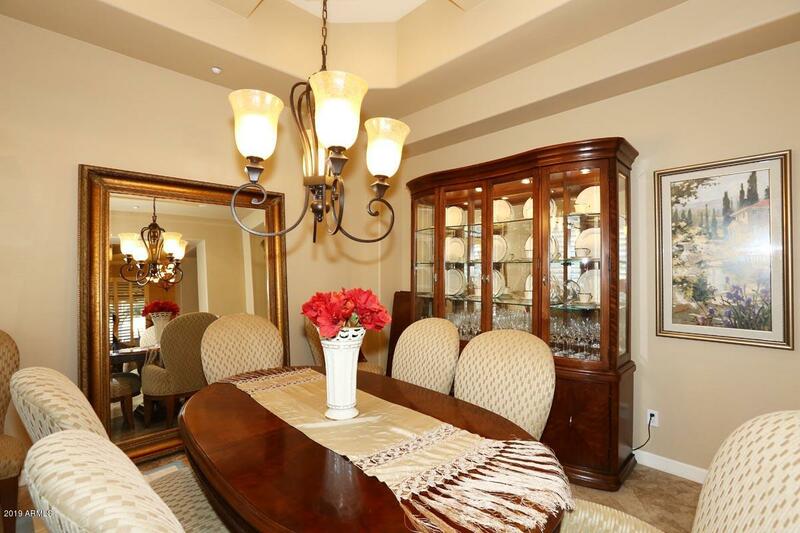 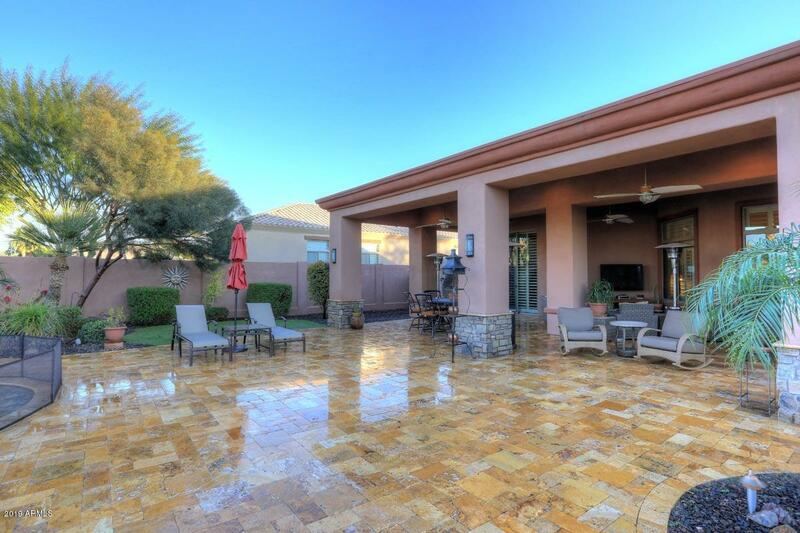 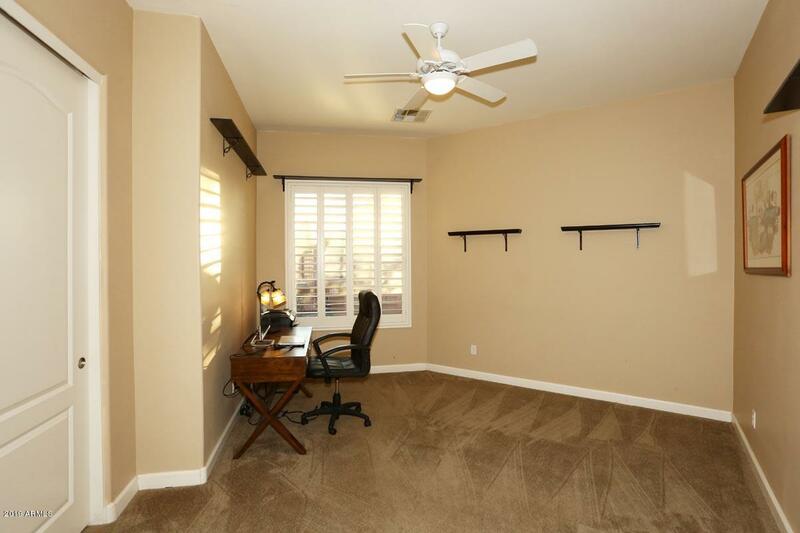 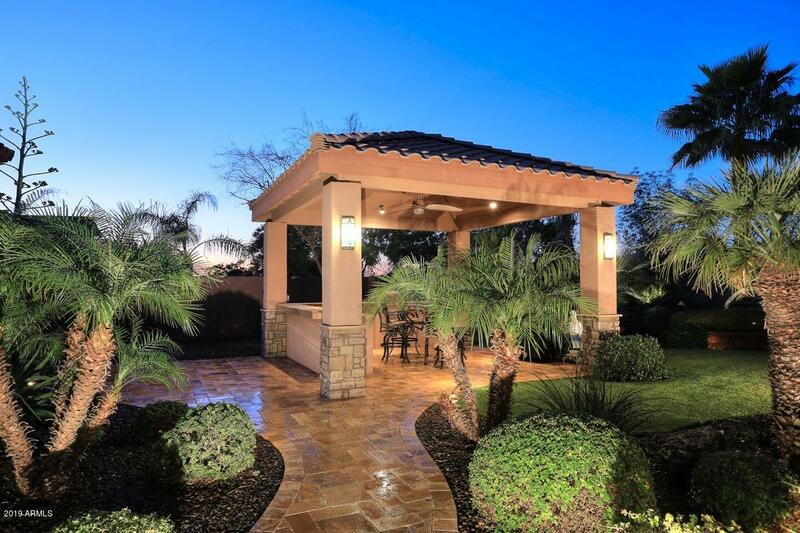 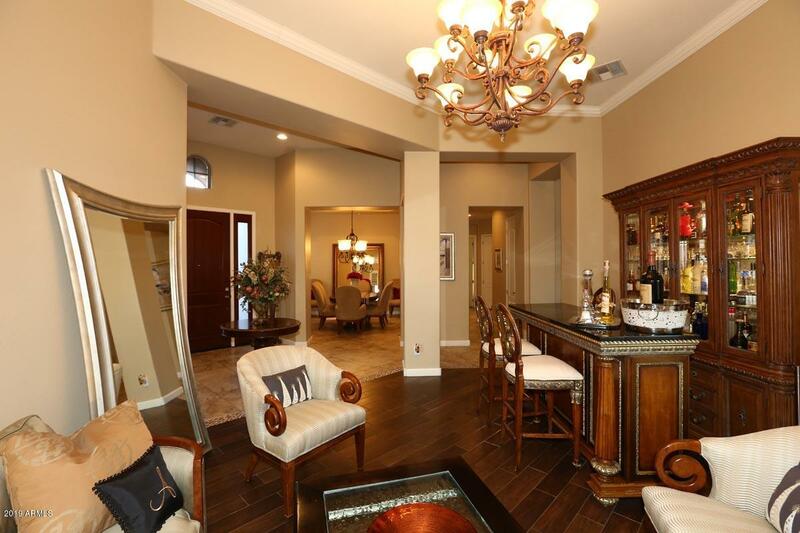 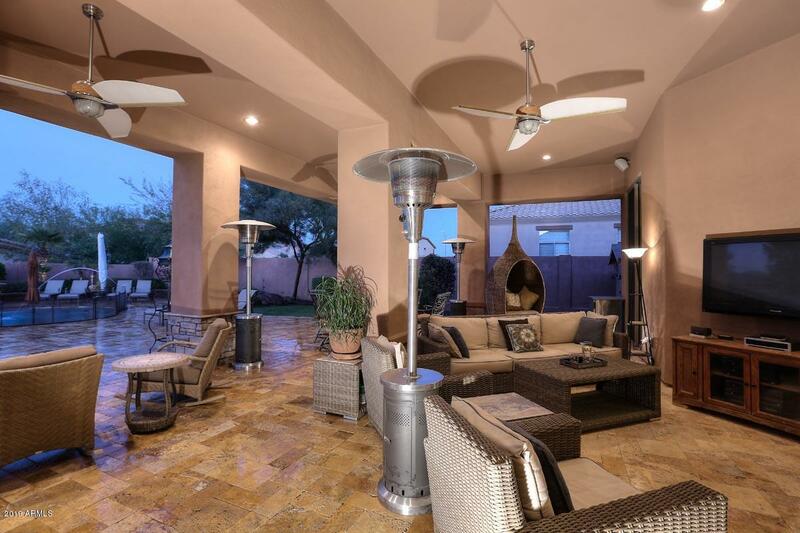 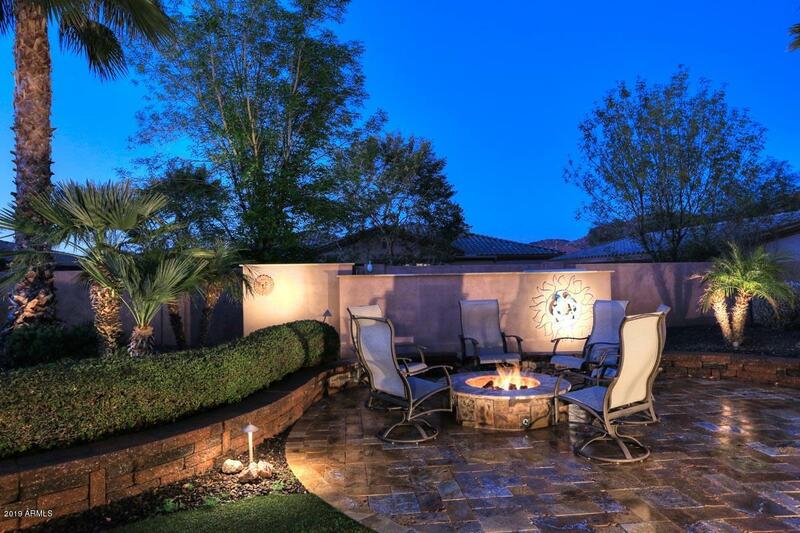 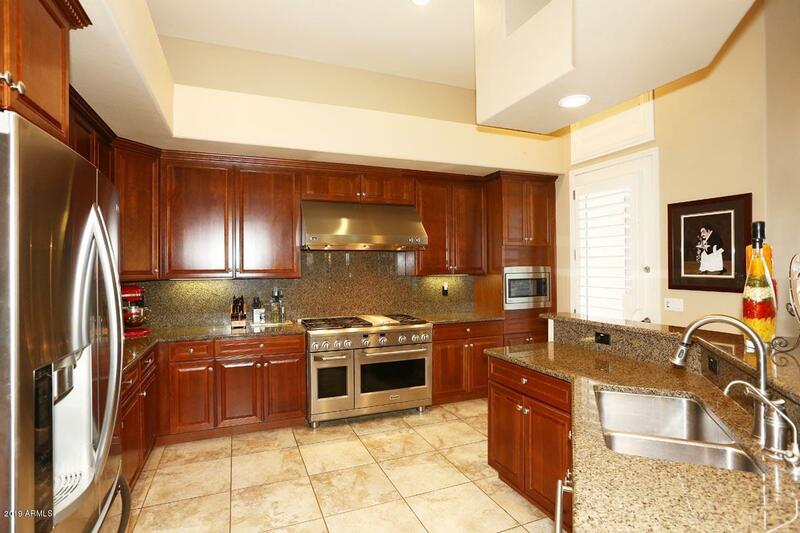 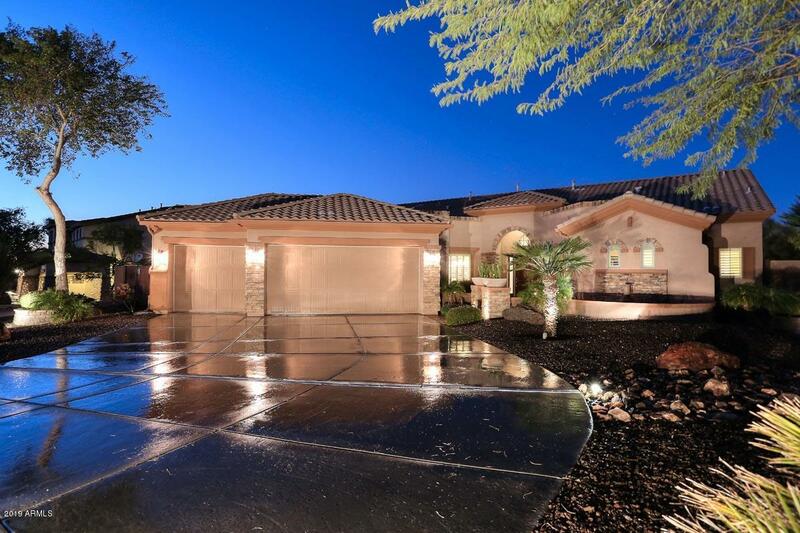 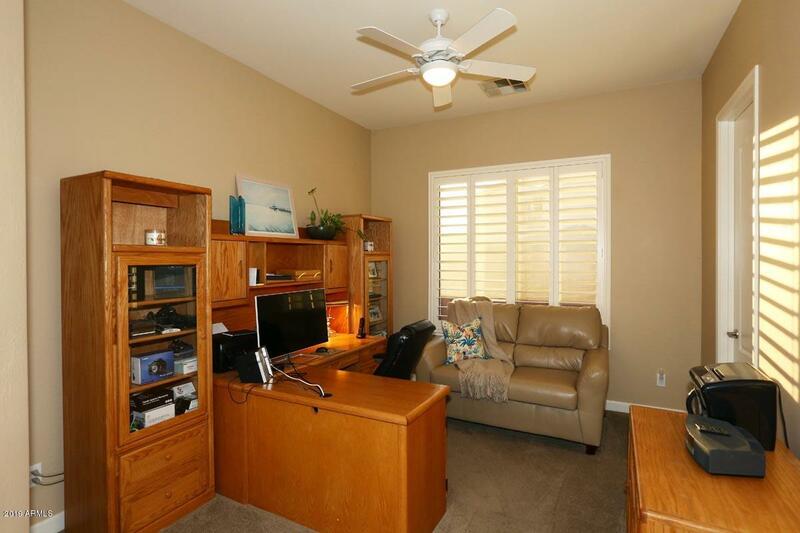 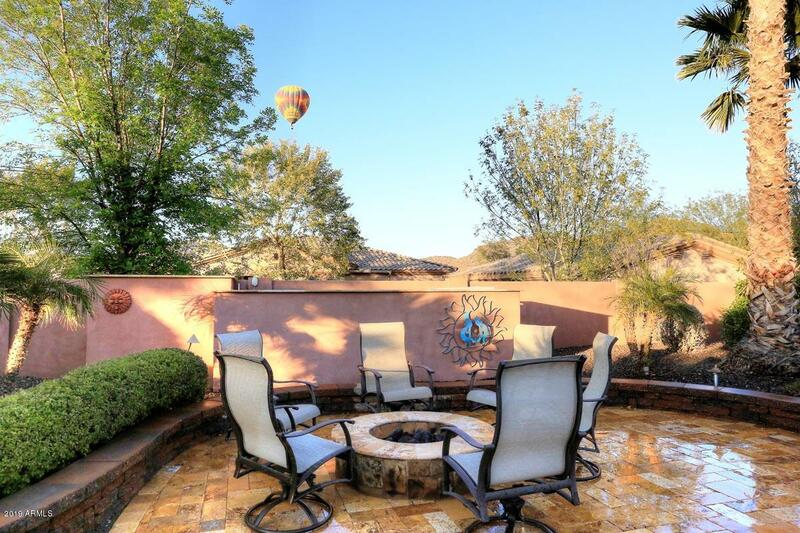 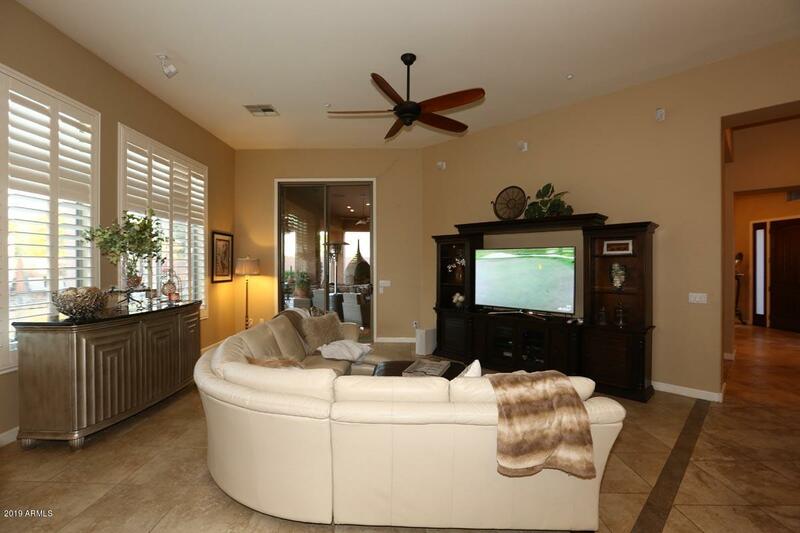 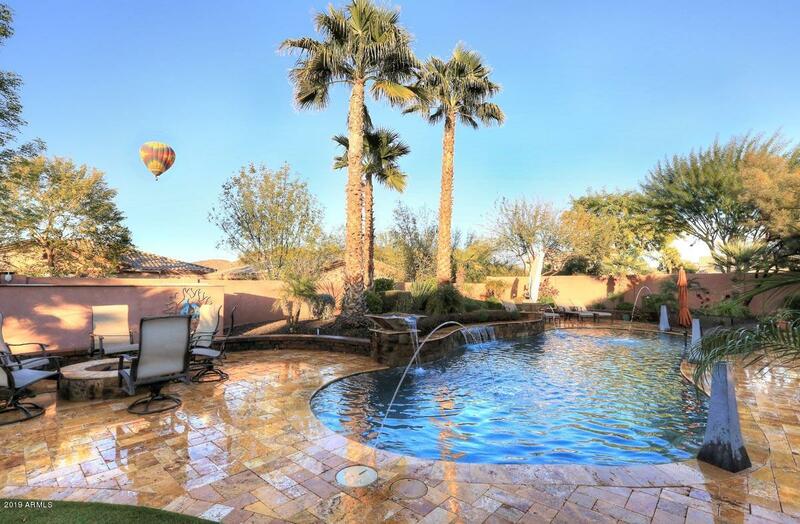 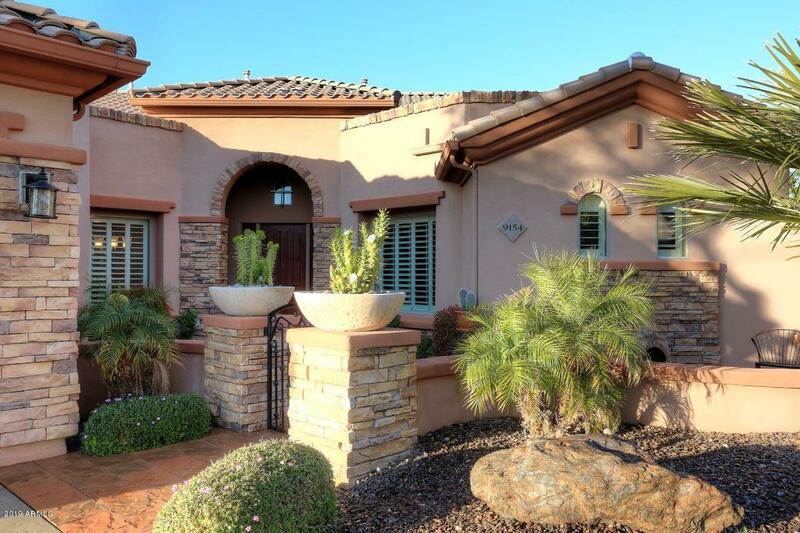 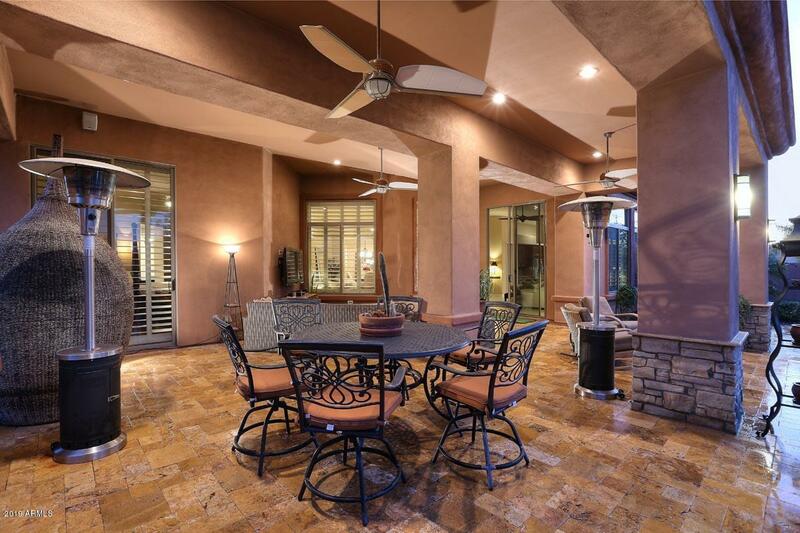 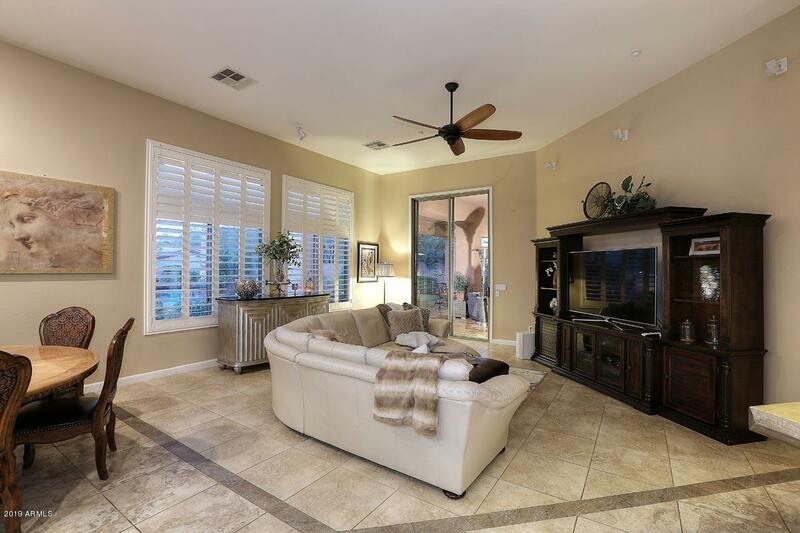 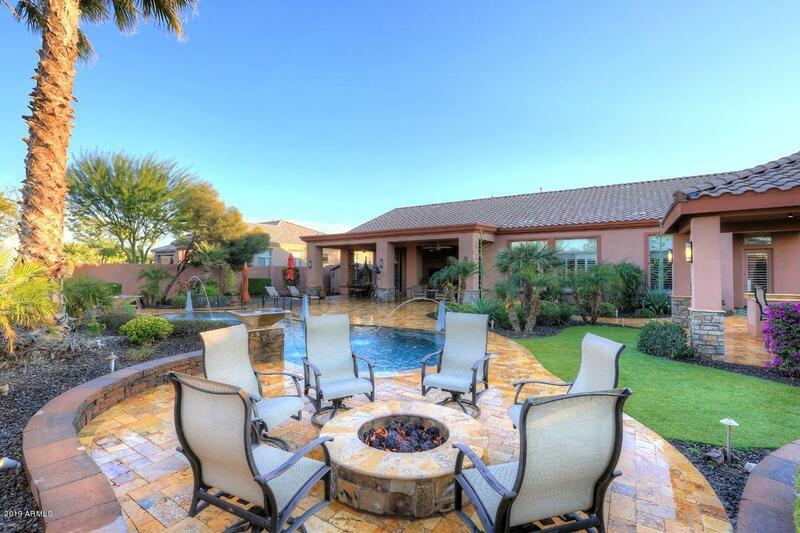 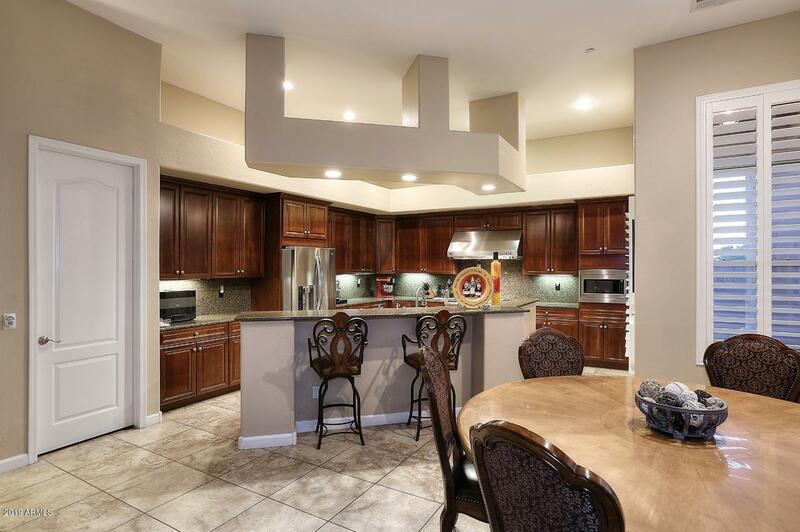 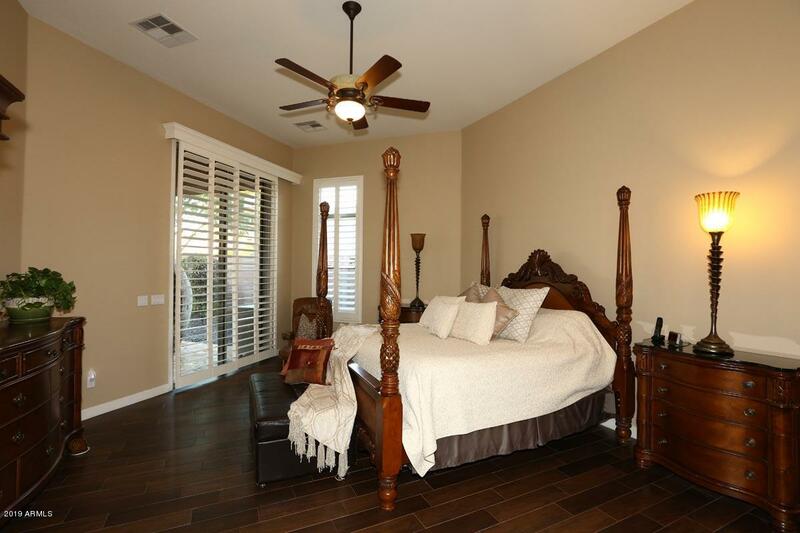 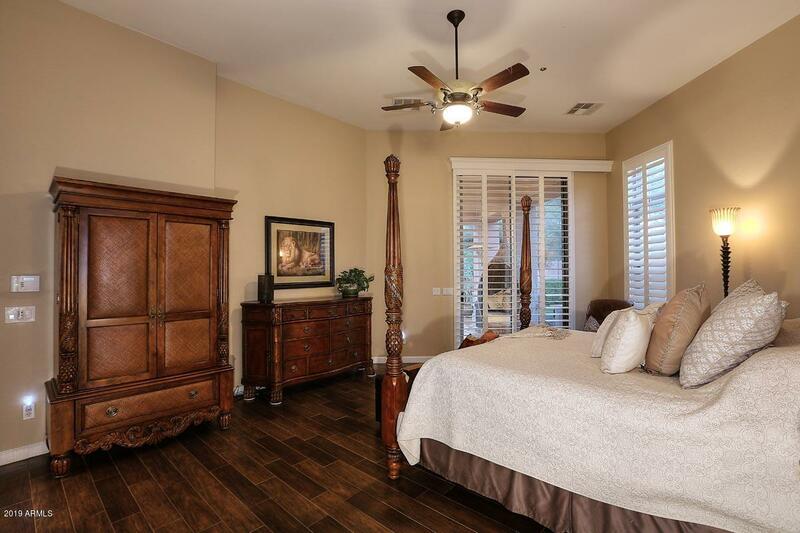 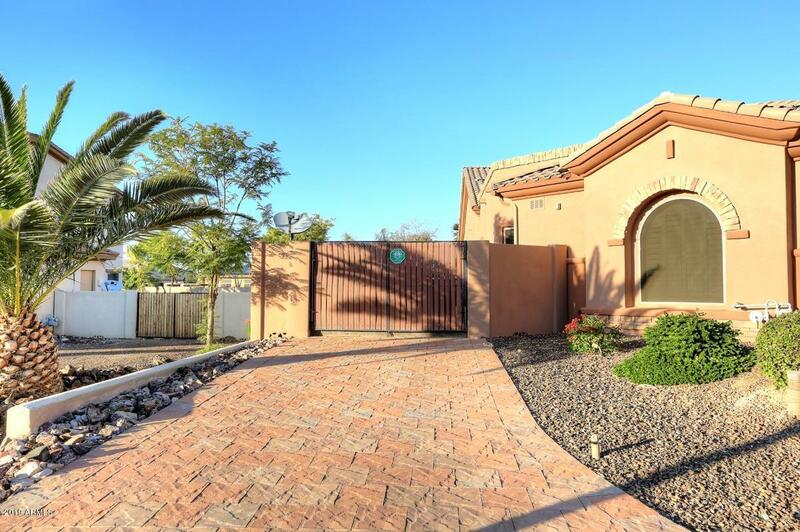 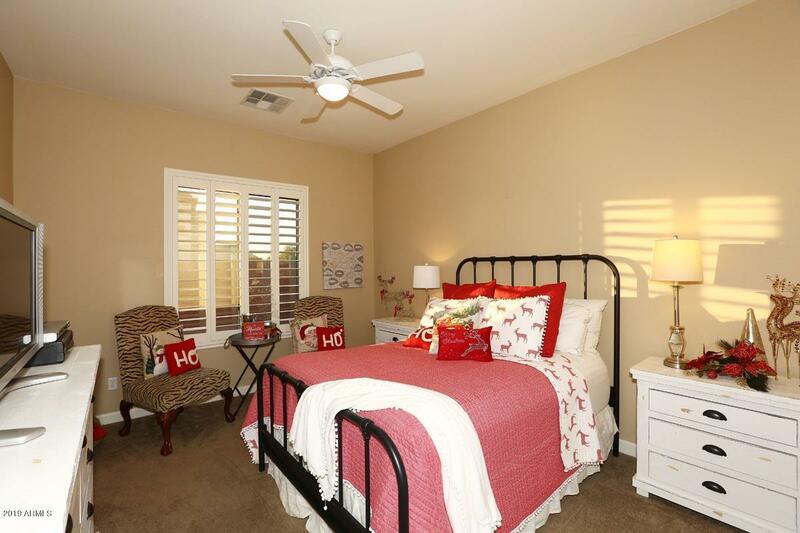 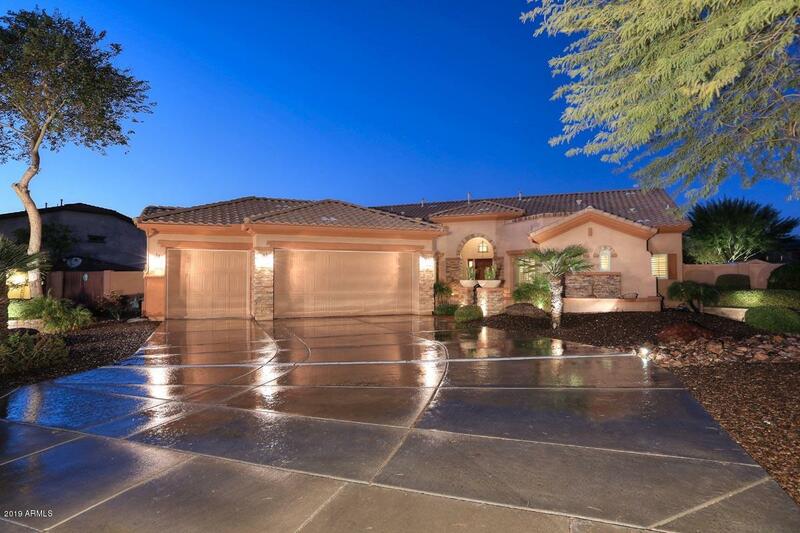 Stunning 4 bedroom, 3.5 bath home in the remarkable community of Cibola Vista. 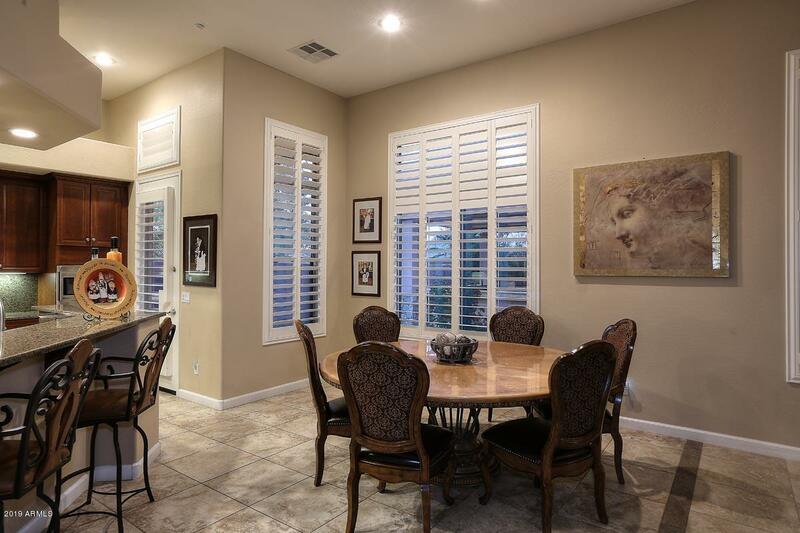 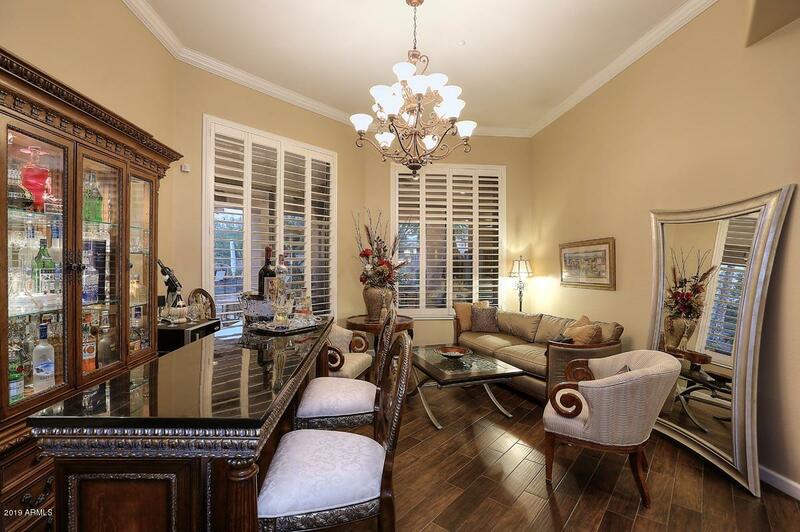 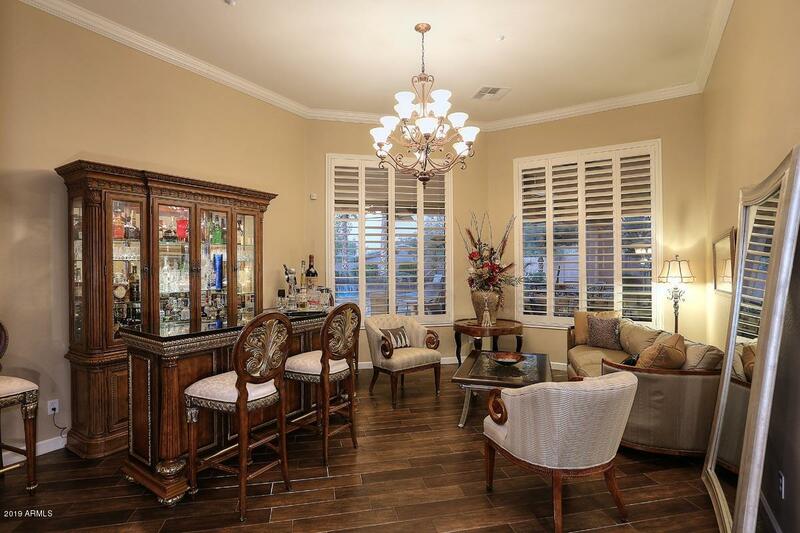 With 3,620 square feet this home boasts a formal living room with plantation shutters and crown moulding and a formal dining room with a tiered ceiling. 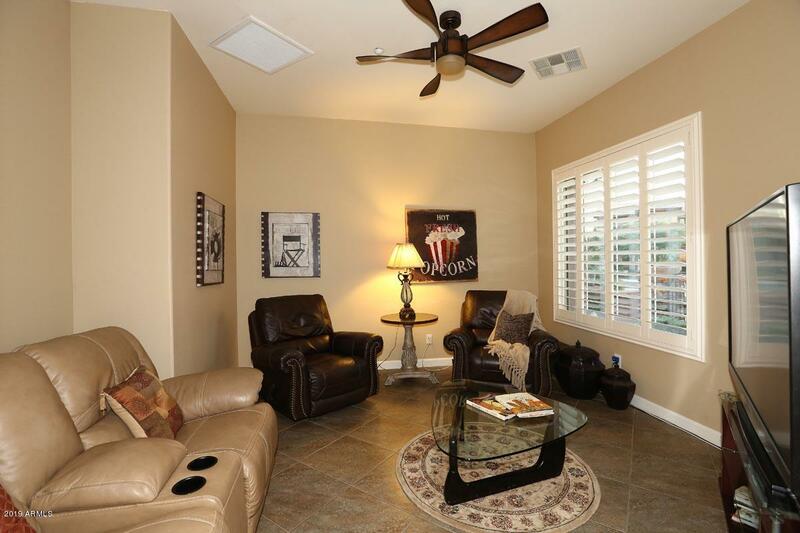 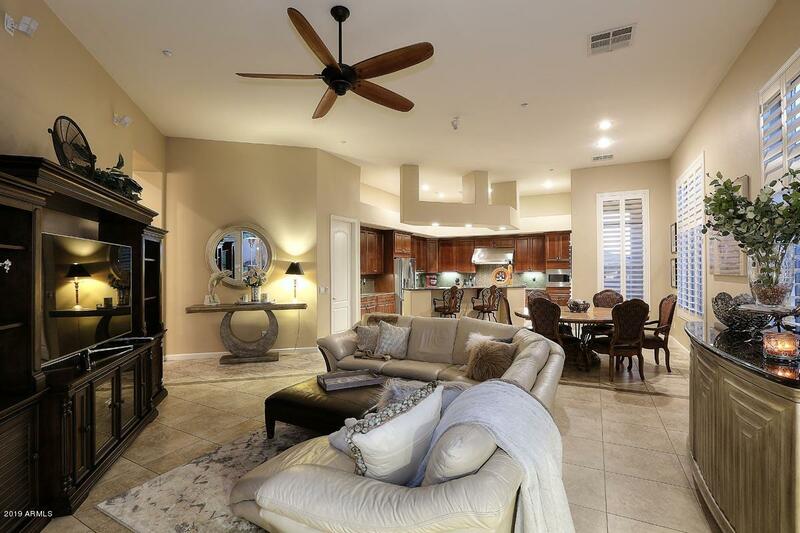 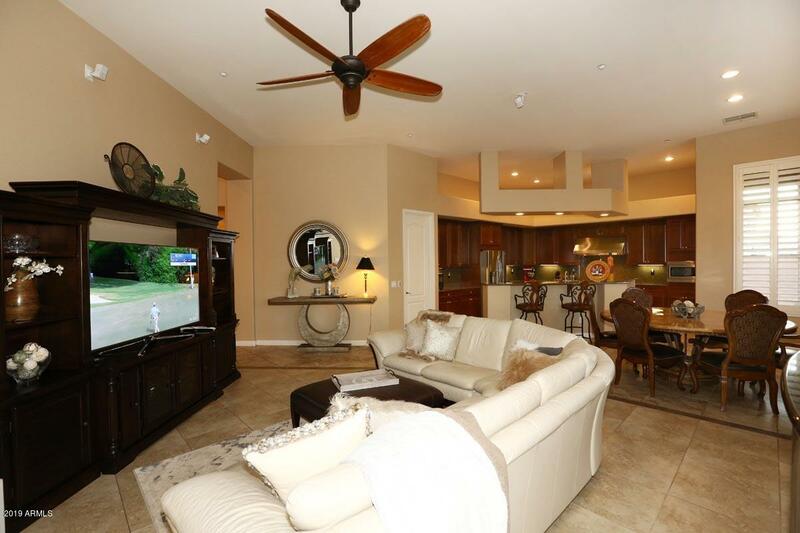 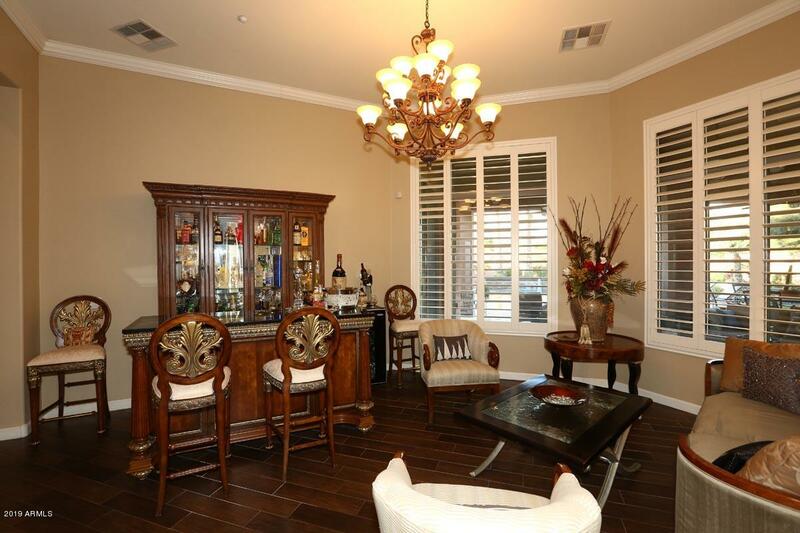 The family room sits adjacent the kitchen giving the space a nice relaxing feel. 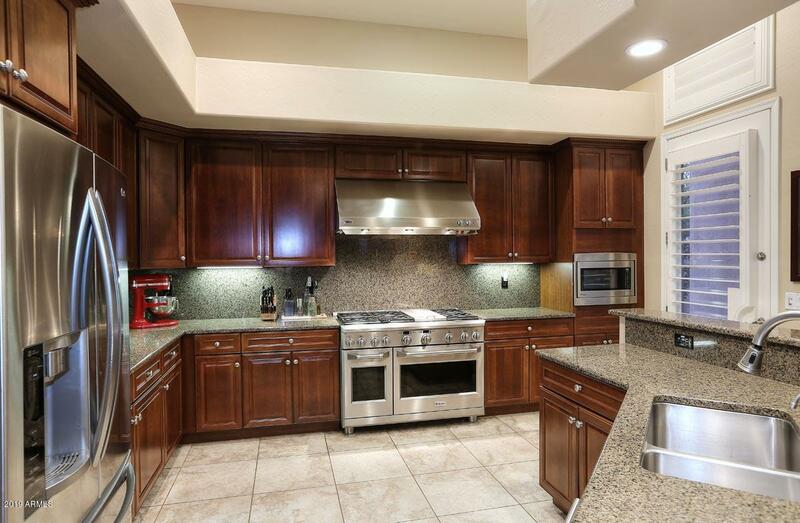 Large gourmet kitchen with rich designer cabinets, breakfast bar, granite counter tops and backsplash, stainless appliances, large walk in pantry and great space for a breakfast table. 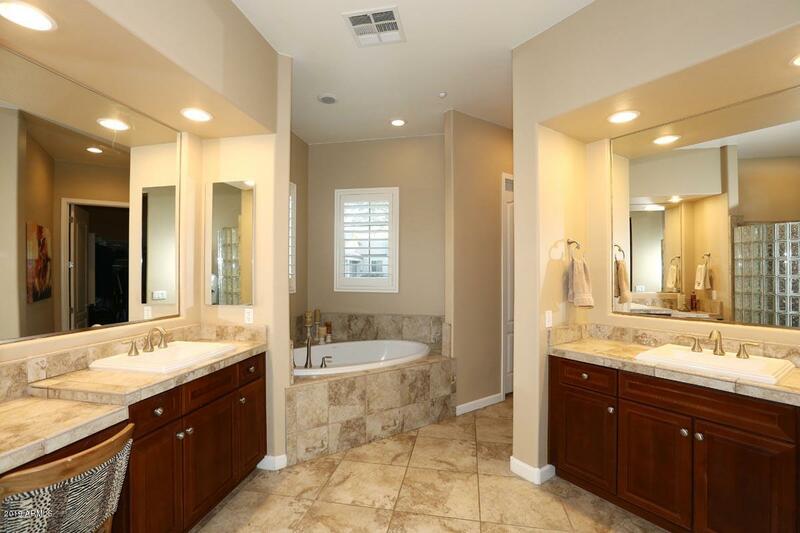 Beautiful master retreat with en suite bath featuring a large soaking tub, snail shower, dual vanities and generous walk in closet. 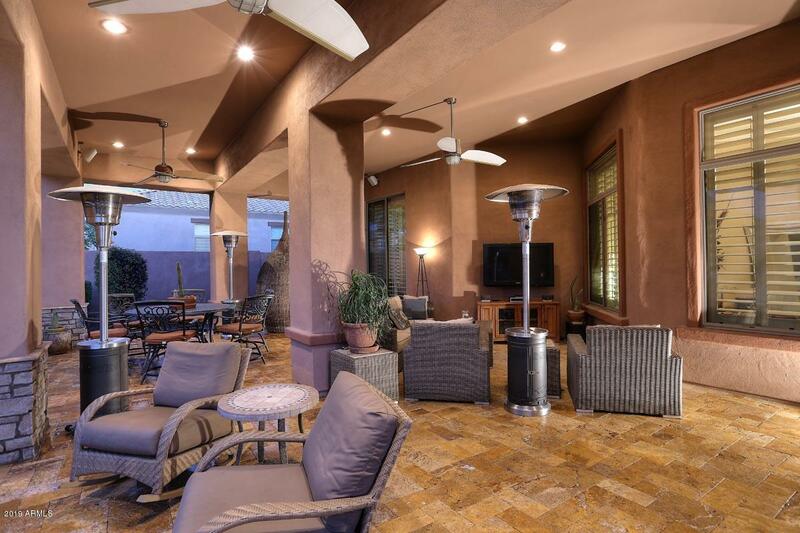 The outdoor living spaces are amazing. 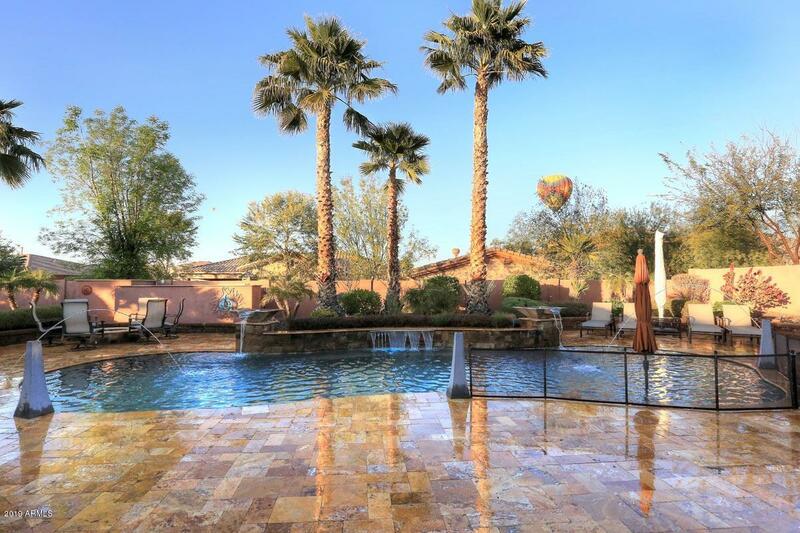 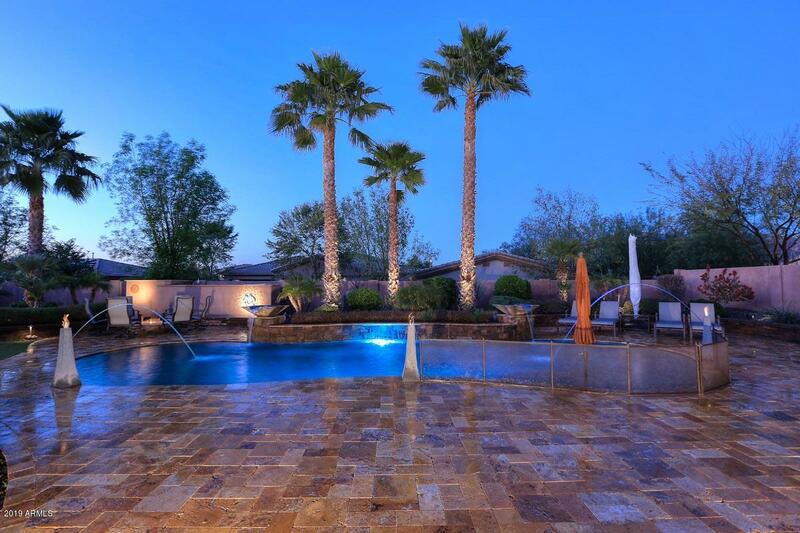 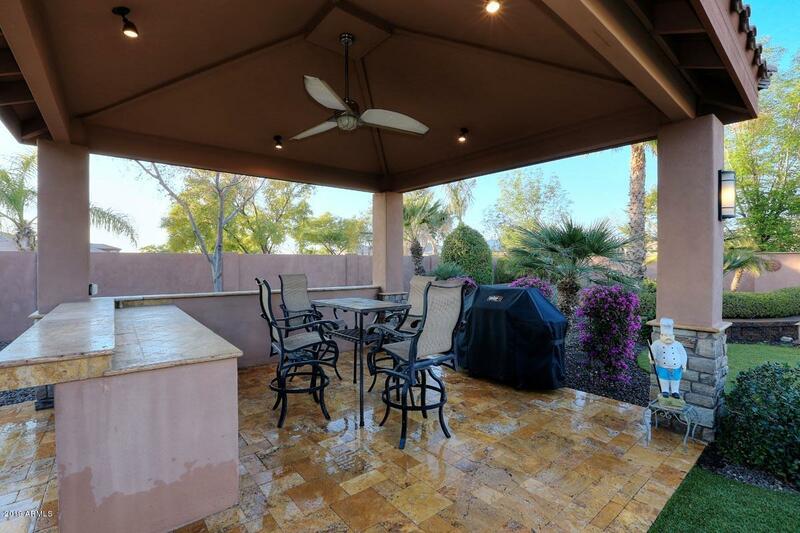 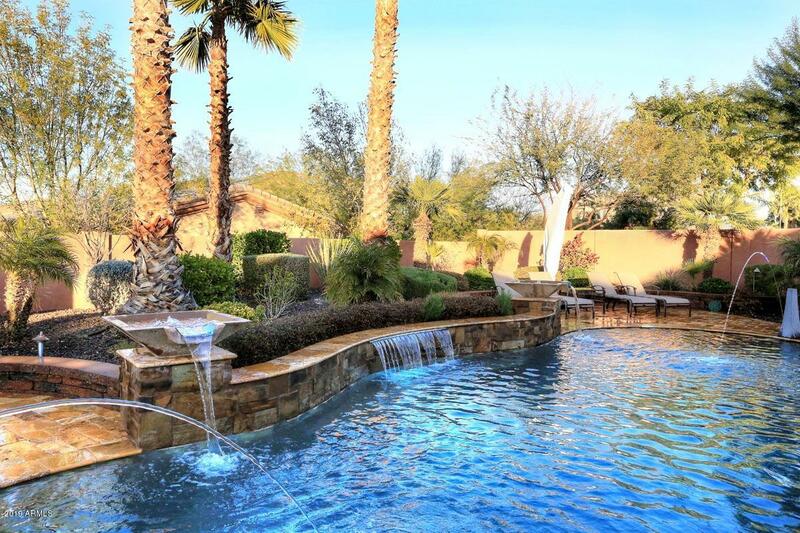 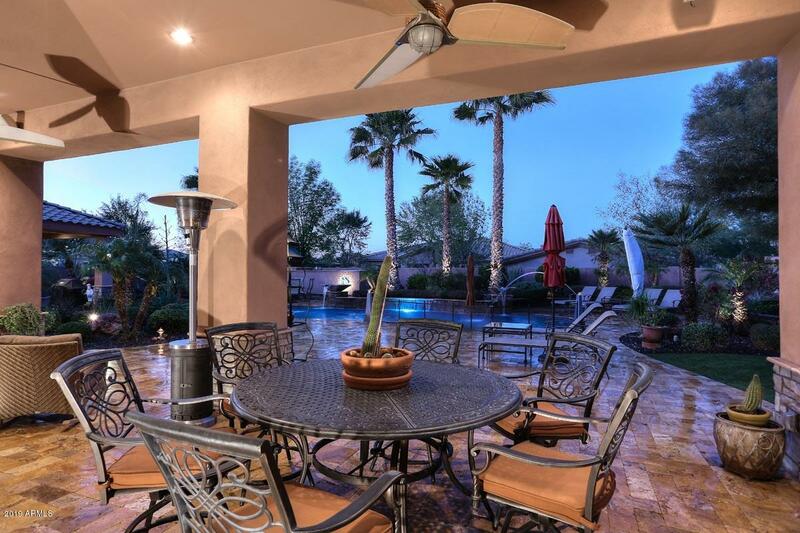 Large covered patio overlooking the gorgeous salt water pool where you will see relaxing water features, a fire pit, Ramada with counter space and bar seating, lush desert landscaping, an RV gate and shed for added storage. 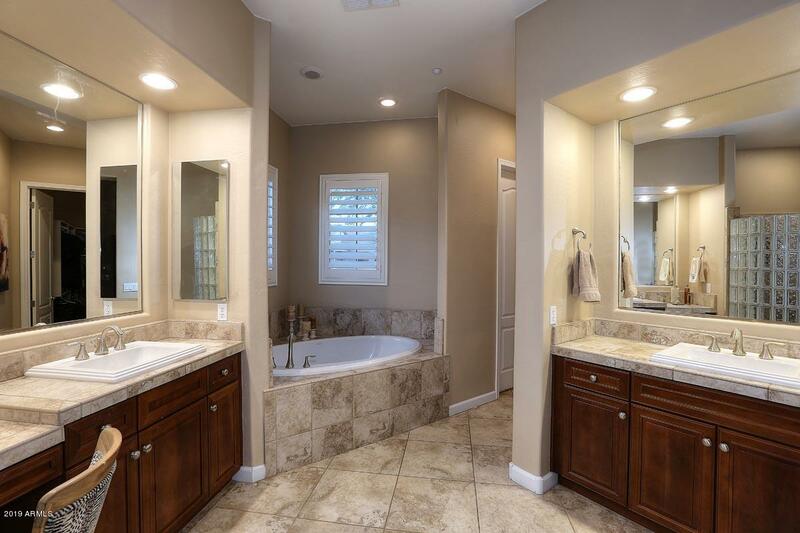 There is also a refreshing outdoor tiled shower - perfect for the summer! 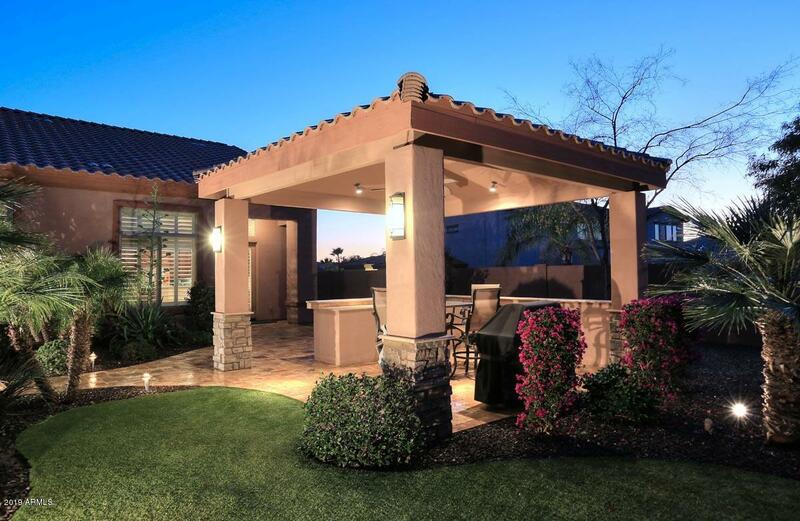 Custom 8x20 shed with inside lighting. 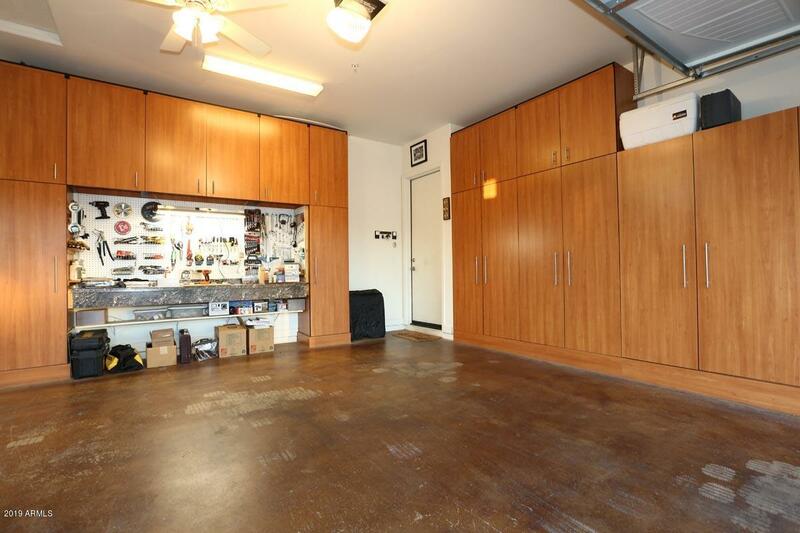 Custom garage cabinets with matching peg board. 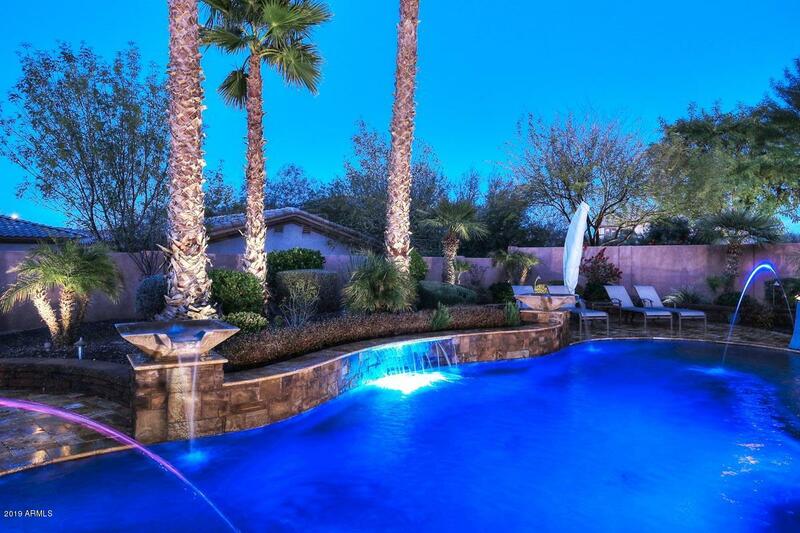 This is Arizona living at it's best.